View cart “elements of life” has been added to your cart. Based out of the talent-rich city of Minneapolis and rooted in its legendary soulful sound, Sara Renner has been independently producing top quality music as a solo artist since 2001. With a refreshing blend of Pop, Jazz & Gospel, Sara sets herself apart with her versatility and shows respect for the great musicians who have influenced her both musically and spiritually (Anita Baker, Stevie Wonder, & The Winans to name a few). Now combine those influences with an Italian/Norwegian heritage of folk music and classical training and you’ve got something you’ve never heard before! 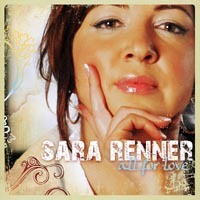 Sara Renner is an artist, a songwriter and a passionate believer in a God who loves in an “everyday” way. Her vision is to reflect the beauty of God through the artistic expression of music, trusting that this timeless medium will not only bring a message of joy to the listener but actually change lives for the better. 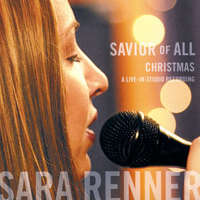 Over the span of 15 years as a professional singer, worship leader, recording artist and songwriter, Sara Renner has shared her music in over 1000 churches, festivals and secular venues in 30 states and 10 countries. 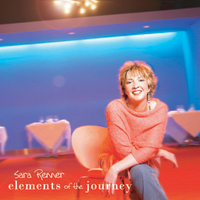 Sara has independently produced 4 CD’s and a DVD and has sung and arranged background vocals on over 100 other artist’s recording projects including Sara Groves, Brian Bates and Bryan Duncan. Exclusively sold at her live concerts and online distributors, “Joy”, “Savior of All”, “Elements of the Journey” and “Gloria” and live-concert DVD “The Best So Far” have sold over 20,000 copies since she began her solo career in 2001. 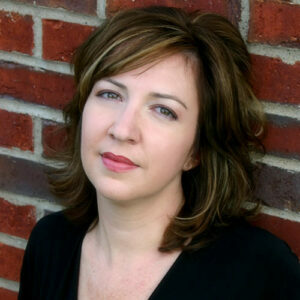 Sara has just begun working on a new CD with her long-time producer, Nate Sabin (Sara Groves, Jason Gray…etc). The new release is expected to hit stores December of 2008! Sara was nominated Best Gospel/Spiritual artist by the Minnesota Music Academy in 2006 and in 2007 was selected by fans of the National Hockey Leagues’ MN Wild to sing The Star Spangled Banner & O Canada at all home games. In 2008, Sara Renner and her dynamic band “The Elements” entered the Club 3 Degrees Music Tournament and you guessed it…they WON! Otherwise, why would it be in this bio? Sara lives in Minneapolis, MN with her 2 beloved cats; Walter and Stinky Joe (yeah, that’s right). When she’s not singing & speaking across the United States, she loves reading, playing tennis, eating good food, watching sports and spending time with her family and friends. I love your "Elements of the Journey" CD. I have listened to it so much my daughter asked if that was the only CD I owned. It's one of those things you never get tired of. You have an incredible voice and a God given talent to touch people with your music. I find myself humming your songs in the store or dancing around the house praising God for his goodness because your music blesses me and reminds me of what's important, God. I look forward to your next CD!